Published February 10, 2016 at 250×250 in Volunteer. Hello! I would like to help Volunteer at Ginger’s Pet Rescue. I work m-f 10am-6pm. Would we be able to set something up? Even walking the pups! Hi, I am very interested in volunteering and I love walking dogs. Please let me know if there are any current opportunities. I would love to start volunteering. I work Mon-Fri 8a-5pm. Let me know what options are available! Would love to volunteer and run with dogs! Hi. I am a flight attendant so I am never home to take care of a dog, but I miss having dogs in my life!!! I would love to come walk dogs on my days off! I don’t have a consistent schedule. Please let me know if we can work something out! Hi I’m a high school student in love with animals! I was hoping you may have time during the weekends I could help out? Thank you! PLEASE let me know how I can help and any shape or form! Texas disaster if I could help foster dogs I would to help. I am interested in volunteering. My husband and I are actively looking for a dog to join our family, but in the meanwhile (and beyond) I would love to help out. I am currently not working so my schedule is very flexible. Please let me know how I might be able to help. Hi I would love to volunteer for you. I currently volunteer at the Seattle Animal Shelter on Thursdays but I only work part time. I would be most interested in volunteering at Ginger’s Pet Rescue. I would appreciate knowing what opportunities are available. My schedule is flexible – thank you for your time. HI there, I LOVE dogs and would love to volunteer for you . I have a very flexible schedule. I am intrested in volunteering I have two dogs and I like to walk dogs! Hello! I have a friend who had volunteered at Ginger’s in the past and when she was explaining it to me, it sounded like something that I would enjoy dedicating time to. I’m a high school student and I’m available to volunteer Friday’s after 3 o’clock and on the weekends after 12:30 pm. I’m very interested in voluneering for you! Please let me know if I’m able to help at all! I’d like to Volunteer at Ginger’s and I have a very open schedule. Thank you! I adopted Jessie Heart from you in February of this year and she is a sweet, loving girl!. I feel very fortunate to have her as a part of my family. I think what you do is wonderful and would like to volunteer. Hi, I am a high school student at Shorewood high school and I am 16 years old and I was wondering if there any opportunities for someone like me who loves animals and has worked at the animal surgical clinic of Seattle and volunteered at animal talk and Missy’s rescue! Please let me know ASAP. looking for an opportunity to help the animals/organization. we live close by. thank you! Hi, I would love to find out more about volunteering! I generally work M-F 8-6. Thank you! My 15 year old daughter and i would like to help out with the animal. Work and school only leaves the weekends open. Please reach out when helpnis needed!! Have dog experience!! I would love to volunteer in whatever capacity you need me in. I work 7 to 4 M to F but am available after work and the weekends. Please let me know how I can help! Hi. I have a fairly flexible schedule Monday through Friday. I am interested in short hour dog sitting and dog walking. Please let me know if/when these duties may be needed. I would love to volunteer with your organization. I am available after work (approximately 6pm) and on weekends to volunteer. Please let me know if there are any volunteering opportunities. My name is Miriam Bandala and I’m a senior at Shorewood High School. I’m interested in volunteering and was wondering if you have any volunteering opportunities on Tuesdays or Thursdays? My boyfriend and I would be interested in volunteering at a pet adoption event. My schedule opens up wide at the end of March. I would like to foster or help. Please let me know if and how. Hi there! I would love to help in my free time on weeknights and weekends. Please let me know if you need volunteer help at this time! Hi Ginger, I was just sharing with Susan Cummins how much I love and have been looking for a Pomeranian and she said to contact you. I’d love to volunteer and help out if needed. I’m new to your site and love what you are doing for dogs? Dogs do so much for us and it’s always heart warming to see any efforts to help them out in return. Please contact me at your convenience. Susan did mention that you had recently rescued some poms, are there still any in need of a loving home? I would like to help out with donations and walking the dogs. I have spare time on Mondays through Wednesdays. I’d love to help in any way possible, I have spare time during the weekends. Let me know if you need help at this time! Hi! I’d love to help out your organization. I’m not sure what sort of volunteer positions there are, but I’m open to a variety of them! I would love to help walk dogs and learn of any other volunteer opportunities! I am not allowed to have a dog where I live but I love them and would love the opportunity to help out! Hi. I was wondering if you guys just rescue dogs? I’d like to take in another fish or possibly a reptile. 🙂 Let me know! I’m interested in volunteering! I’m a HUGE animal lover! Please let me know what steps to take next. I would love to volunteer. I don’t work so my schedule is pretty much open. I love animals and want to do anything that can help them. Hi I would love to volunteer in the afternoon from2pm to 4 pm twice a week.I love dogs.I live in west Seattle. Also my son is 8 years old, can he volunteer too ? Hi – I just semi-retired and would love to help you on weekday mornings. Would you have room for me? I am interesting in volunteering. I am a HUGE animal lover. I am available Mon-Sun during evening. I’d love to volunteer. I have two dogs (Golden Retriever and Dachshund) and I love animals. I have always wanted to do something to help them and know more about current situation. Though I can speak English, I’m an international student and not fluent. Can I volunteer? I’m available after school Mon-Thu and all day Sat-Sun. Hi, I have loved saving dogs and working with dogs with issues since I was a child. I stay at home and would love to help and volunteer at your rescue. I am available most days and would love to help! hi my name is sydney and I would love to volunteer soon! available whenever! Howdy! – I work M-F but if you need any weekend help, I’d love to offer my services in anyway I can. I’m in IT, so if you are in need of any technical support (systems/data analyst), or just a dog walker, I’m your guy! My dog can volunteer too! Hello! A good friend of mine, James B, told me all about the volunteer opportunities y’all have and I would love to hear back if you need a hand. I work Mon-Fri 7am-5pm but I have weekends off! Thanks for your time. I’m interested in volunteering! I’m a huge animal lover! 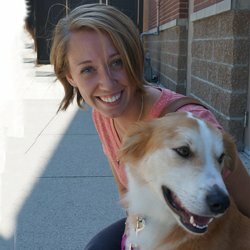 I currently walk dogs through WAG, and would love to help out Ginger’s pet rescue on my time off! Hi! Me and my partner would love to volunteer this weekend 10/6 or 10/7 as a way to celebrate his birthday. We love flurry animals! Do you have any volunteer opportunities this weekend? Would love to volunteer at least once per quarter, sponsored by my job and possibly on weekends also. I have a lot of experience with dogs and would love to help a good cause! HI! I want to love on your doggies! How can I volunteer? Hi! I am a highschool student and a friend and I would love to volunteer and give the doggies some love! We both have dogs and experience with them and love animals! We’re both pretty flexible with our schedules! thanks so much! Hi I am a teenager looking to do something good and I love dogs. I work Monday, Tuesday, Thursday, and Sunday, let me know if I can help! Hello my daughter and me would love to volunteer for your organization. We have deep love for all animals and currently have among our pets a Korean Jindo that we rescued 2 years ago. Thank you for all you do and letting volunteer. I would like the opportunity to volunteer with your organization. I work Monday through Friday’s but I would love to volunteer on the weekends. I moved to Seattle not too long ago and am looking for a new dog rescue to work with. I’m looking or volunteer jobs for my 16yrs old son who is going through depression right now. He loves animals and he’s been taking good care of family dog over 10 years now. Hello, my son is 33 and would like to volunteer. He lives in Burien. Do you have a location near Burien? He used to have 2 pugs, Sam and Mr. Chubbs. He misses them! He loves animals. Hello my daughter would like to volunteer and lives close by. She is very familiar w caring for dogs and cats. Hi! My son would love to volunteer. He has completed the release form. Where do we sund this? Thank you!